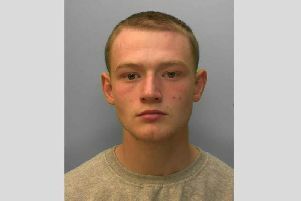 Police are concerned about the welfare of missing teenage boy from Bognor. Seventeen-year-old Ahmed Alibiari was last seen at an address in Burnham Avenue at around 11.30am on Wednesday (October 12), according to police. Sussex Police has confirmed he was reported missing at around 6pm that evening. He is described as Middle Eastern, 5’ 7” and of slim build with cropped black hair and was last seen wearing a grey tracksuit, police have said. Missing persons co-ordinator Lucie Collier said: “We are concerned about Ahmed because of his age and would just like to make sure he is okay.